Bargain hunting has become a social movement. Op’ shops and vintage stores are thriving, and online services such as Gumtree, Craigslist, eBay and Freecycling have become part of mainstream culture. But buying second-hand goods online is not like walking into a shop—there are great bargains out there, but also a few tricks and pitfalls to watch out for. Here are our tips for buying second-hand stuff online. Do your research: Before you make an offer, know exactly what you’re shopping for and your price range. 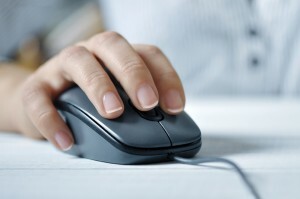 Check retailers and other online selling services to compare prices before you make an offer. See a photo of the actual item and ask the seller for background info: There’s no excuse for sellers not to post photos. Make sure that the photos show the item from all important angles (eg. with a second-hand pair of snow skis, you need to see a photo of the base of the ski as well as the top.) Questions for the seller might include: How long have you had the item? Why are you selling it? Does it work? Has it ever been repaired? Is there any damage? Don’t be afraid to haggle: Most online sellers price their items with wriggle room. (Of course, if you think the item is a bargain, you might be happy to offer full price immediately.) Buyers usually have more bargaining power in person because sellers won’t want to miss a sale opportunity. Meet in a public place: Where practicable, it’s a good idea to meet the seller in a public place. If it’s necessary to go to the seller’s house, take a friend with you or at least let someone know where you’re going. Remember, if the item is heavy or awkward, you’ll also need a friend or two to help carry the item, and an appropriate vehicle for transport. Check the item is working: For electrical goods this will mean having access to a power point. (Keep this in mind when choosing a place to meet.) If the item is not what you expected, don’t be afraid to pull out of the deal. Keep in mind that some goods are difficult to assess (eg. how do you assess a washing machine that’s disconnected?) Take this into consideration when offering a price for the item. For cars and boats etc. you'll also need to check for registration and liens. Bring the right money: Don’t expect the seller to accept a cheque, break a big note or give you change. If the item is expensive, let the seller know that you will not be carrying money when you come to inspect the item. If you like what you see, ask the seller to come with you to the bank or to meet you in a public place later. Do not send money to a seller who is asking for payment in advance or who says you can't inspect the item—not unless you’re very confident that the seller will forward the goods to you. Do not send money to a seller who has a strange or elaborate story that entails making payment to a third party. Likewise, do not provide your bank account details to a seller, even if they claim you overpaid and they want to send you a partial refund. Avoid sales that sound too good to be true. The goods might be stolen. Are you doing the MyBudget Buy Nothing New Challenge in August? Please share your tips and experiences with us on the MyBudget Buzz community forum!